Seems that one of the games Ollie played a while ago, "The Last of Us", has done well in the video game Baftas. It does look quite good. GTAV did well too, naturally. I am baffled by EA's success in the Sports section. Maybe there's just a lack of competition in the sports games arena, or people just buying annual updates out of habit. The "Papers, Please" game sounds completely nuts! There's so few sports games anymore, although I'd fancy one of the winter olympics tie ins to get somewhere next year. Surprised GTA V didn't clean the board, & surely Bioshock ought to have won the artistic achievement. I never played it, but it looked stunning. Will be fun next year with Elder Scrolls Online vs Sims 4 - haha what a doing it's going to get! 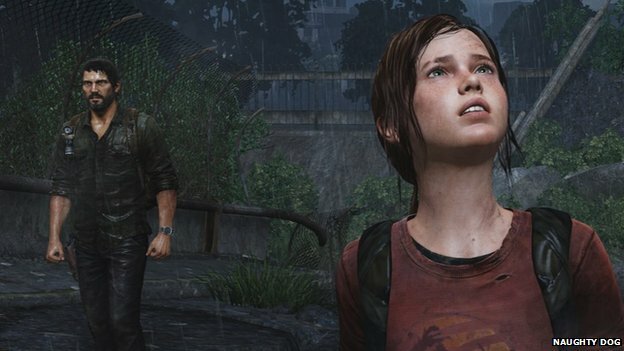 TBH, I don't think The Last of Us should've been considered the best game of the year. Yes it was good, but to me GTA V is much better (although that's just me), I just don't feel TLoU deserves as much praise as it's given. I don't know how to explain it, but to me I just don't think it really deserves to considered the best game. Not saying that I don't like it, but... I don't even know what I'm saying anymore. I guess it depends on the criteria they were using to assess the games. 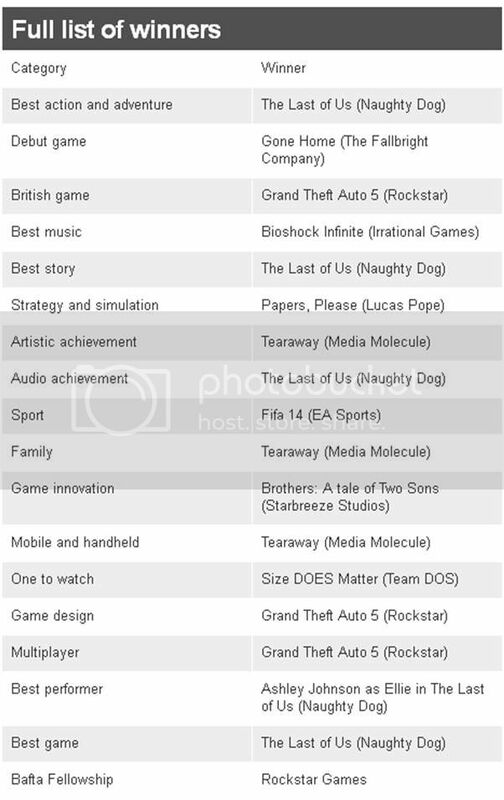 I would have thought that GTAV would have scooped that prize too, but they still won in several other categories. I saw a few snippets of GTAV the other day and the level of detail is really amazing. That Trevor character's a psycho isn't he!